My father passed away yesterday at the age of 85 after a week of family hospice care at his home of fifty-five years. He’d had a good, full life. The Navy veteran, long time Boeing Engineer, and, after retirement, Home Depot employee, struggled physically after his stroke in 2002, but it never dampened his will or drive. I took this pic just as the first basketball game started on Thursday. I had no idea it would be the last pic. Before he passed on Thursday, Dad and I did something we’d never done. 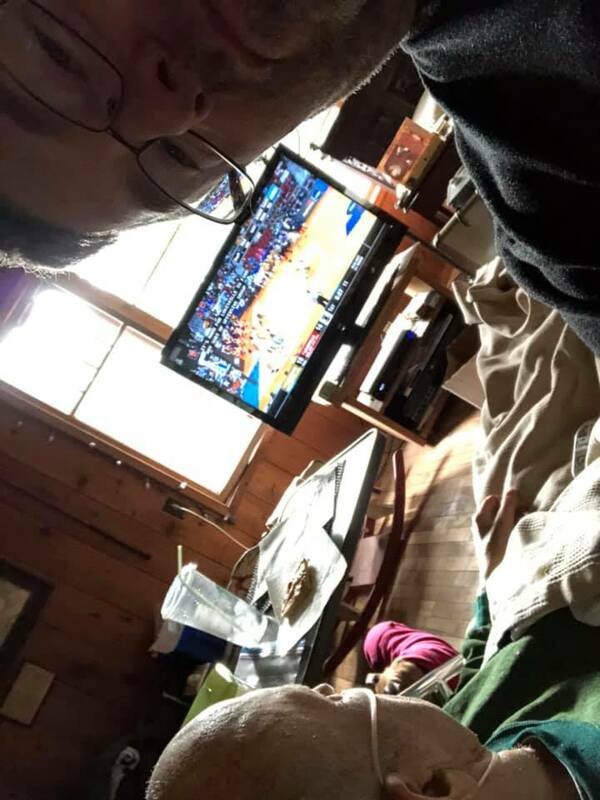 We turned on the March Madness basketball tournament at 9:30am and began watching March Madness together. I love basketball, so I thought I could share this with him (and I had control of the remotes). Though he likes sports, he always preferred football more. Dad could no longer see the TV too well, so I ran the play-by-play scores by him and explained who was playing. He seemed to enjoy it. It was mostly just he and I as we rooted for the underdog teams as we juggled multiple games and channels. But, what he was really looking forward to was the 4pm game, which featured #1 seed Gonzaga, as that was his college Alma Mater. Gonzaga is a Catholic school, but dad was no Catholic. In fact, I’d only learned the day before that while at Gonzaga, he got As and Bs in everything, except for the Ds he received in the religious classes. That sounded about right to me. Just after 2pm on Thursday he decided, with his usual certainty and determination, that he was going to stand again and do a couple “pushups” (knee-bends using his walker). He hadn’t been out of bed in a week and a half, so we knew he was pretty week to be attempting this. His heart was only pushing about 20% of normal, due to heart failure, but, as he put it, “Goddammit”, he was going to do it. So, my wife, my mother and I helped him. He proceeded, with our help, to push himself off the bed twice. By the second push, he was pretty tired, so we put him back into the bed. He immediately asked for my hand. That’s when I knew something was wrong, as he wasn’t one to hold my hand. Then, his breathing started to increase and a concern flashed across his eyes. While we soothed him, we could tell something had happened. He, of course, knew it, too. The end came quickly and he suffered little. If he hadn’t been in the middle of dying, I am certain he would have appreciated the irony that a little exercise led to his passing, as loved to exercise, mostly lifting weights. Exercise made him feel alive most of his life, but in the end it led to his passing. I doubt he would have wanted it any other way. We will miss him, but we are universally happy in his death. Between his stroke and increasing heart failure, he was a shell of his former self. At the end, he went out quickly and with dignity at home knowing he was loved (and with some gallows humor about the exercise). He was a good man and got what he deserved: PEACE. PS…. for the record, Dad and I did share the Gonzaga game, though he showed little emotion as the Zags crushed their opponent, remaining pretty stiff throughout. It was only after the game that the funeral home came for the body. (I’m pretty sure dad is smiling, but shaking his head at me by this point). Dad and I in 2013. Sorry for the loss of your father. I wish your family the best at this rough time. It sounded like he was at peace. Eighty-four years is a good run to make a lot of memories. Condolences to you and family. dear sir , my sympathies to you and yours – old jeepers never die , they just rust away – I just went through the same thing you described 2 years ago with my father – he was 96 , pearl harbor navy survivor , uss hornet sinking survivor , the Japanese couldn’t kill him but old age and rust finally did – committed to the sea with my ww2 navy wave mother last year by the uss America off Catalina island – god rest your fathers and my parents souls . R.I.P. Very Sorry for loss of your dad. I lost mine at 93 and cherish all the memories. Sorry to hear about him passing. Our thoughts and prayers are with you and your family. It’s great that you were able to be with him. I believe he knew. David, that was a very beautiful write up. Your father lived a long fulfilled life that we should all be so lucky to live. The memories will last forever. My condolences to you and your family. Dave. Very sorry for your loss. God bless you and your family. So sorry for your family’s loss. Your dad sounded like a great man and so are you my friend! So sorry for your loss. Cherish the memories. Dear Dave Our condolences to you and the family. I am sorry for your loss. I will keep you and your family in my prayers. My family’s condolences for your loss. I lost my father many years ago as he was waiting for a heart operation. Unfortunately, I was unable to be there by his side and comfort him. You are blessed in that respect being with him. Your love and commitment to your father is a beautiful thing. My deepest sympathies to you and your family. Anchors Aweigh Shipmate! Fair winds and following seas on your journey! Thanks for sharing the story. Can’t think of a better ending. Dave, my sincerest condolences to you and your family. Thank you for sharing the last moments of your father’s incredible life with us and making us all feel like part of your family. May your father have fair winds and following seas, and find safe harbor with God. Sorry for your loss. Prayers to you and your family. God bless and our thoughts go out to your family. Sorry to here about your Dad, David. Never easy to let go but sounds like it was time. Sorry for your loss Dave . Deepest condolences my friend ……That’s a rough one , even though you KNOW it’s coming ….. So Sorry Dave. Hang in there. Sorry for your loss Dave. Sounds like he had a great life! 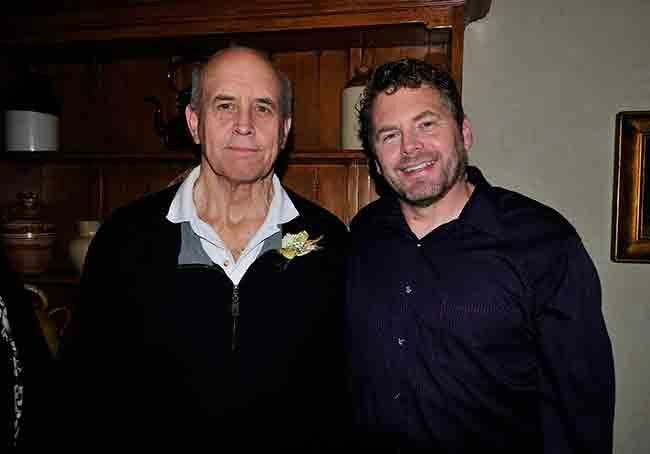 Sorry for your loss but Thankful for you having a great dad that loved you and all the wonderful memories that you have of spending time with him. 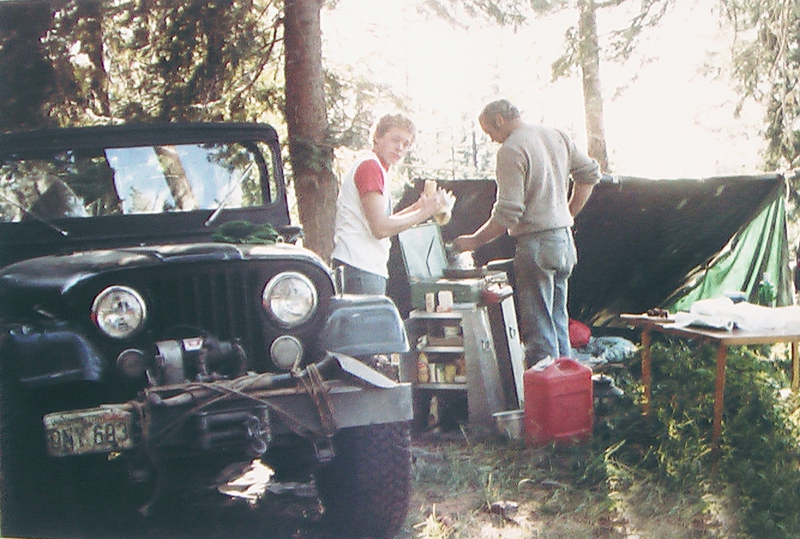 I lost my dad 14 years ago but love all the memories we shared with our Jeeps, hunting and life in general! I will keep you and your family in my prayers! My condolences to you and your family. you are a great tribute to your father, and he to you. My thoughts are with you. I went through the same thing w/my dad in 2014 and now my mom seems to be in the same situation. I empathize with you and pray you find peace in all the memories of him. Never easy losing a loved one no matter what the situation…. Sad to hear Dave. Keep your head up. Time heals all. Sean. My condolences on the loss of your Dad. May he always live in your heart Dave with the fond memories. Sorry to hear about this David. I know it’s a natural thing but that still makes it no easier. Dave, I am so sorry for your loss. You and your family are in our thoughts and prayers.